The 3M Canada Education Award recognizes the ongoing commitment of the Reprocessing Department Technician to continuing education. 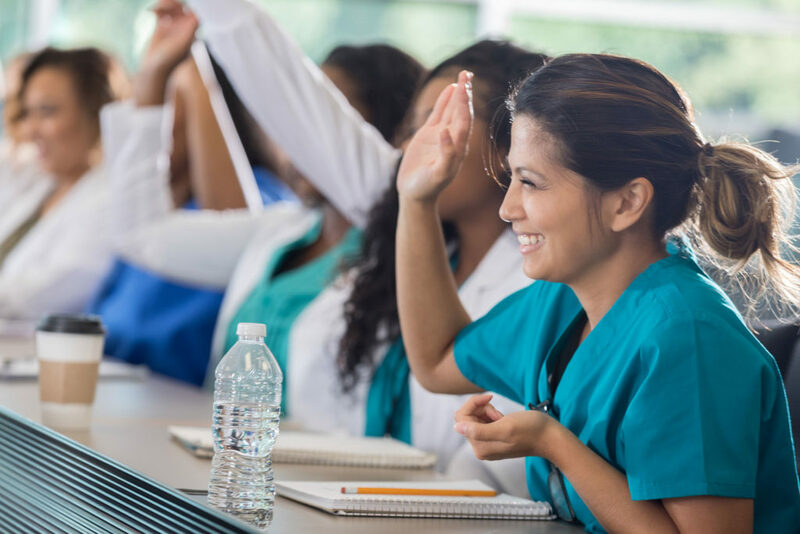 3M believes education is a significant factor in ensuring that patients receive the highest standard of care and we are dedicated to supporting the efforts of these individuals to maintain and expand their knowledge throughout their careers. The award is $600.00 to fund the MDRAO refresher course for three MDRAO current members who achieved the highest marks on their MDRAO refresher exam in the 2018-2019 education year. The recipient must be a graduate of the MDRAO Refresher Online Course in the 2018-2019 education year and achieved one of the three highest marks. The receipient must be a current member of the MDRAO and be employed in a Medical Device Reprocessing Department as a Technician. They must have maintained their MDRAO membership for five consecutive years prior to writing the refresher exam. The recipient’s eligibility for the award is contingent upon registration for the MDRAO annual conference and attendance of the conference. The conference registration fee will be paid by the MDRAO. Should the recipient be unable to attend the conference, the award will pass to another participant who meets the criteria. No exceptions are to be made. Acceptance and registration for the conference must be received by the MDRAO executive within one month of notification of the award by the Directors of Education. The MDRAO Directors of Education will bring forth only those names that have met the above criteria at the June executive meeting. The winner is responsible for providing their own transportation to the conference. The Directors of Education will send them a registration form to return within the month to the MDRAO Office. If this does not occur then the person will be contacted and the next person with the highest mark will then be contacted. A plaque and a cheque for $600.00 will be presented by 3M to the three successful recipients at the Annual Awards Banquet in September. The MDRAO will pay the conference registration fee and one night hotel accomodation for the three successful recipients.